What do you guys think of the This Charming Man material? 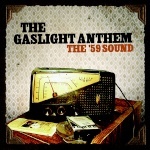 For those who don't know: this was the Gaslight Anthem before they were called the Gaslight Anthem. Definitely very Gaslight-like, even then. Why was the name changed, and did they ever release these songs on an album? PJK wrote: Definitely very Gaslight-like, even then. Why was the name changed, and did they ever release these songs on an album? I've listened to a few of their songs in the past but never really got into them as much as the Gaslight Anthem. Still not bad though. According to wikipedia, all released songs were recorded by the original members which only include Brian from TGA. Also, "1930" was called "She Coulda Raised the Titanic". I wonder if the lyrics were a little different originally? very similar to the newer version. Its great to hear how much his voice has developed through out the years. Is that Brian even singing that song? Doesn't sound anything like him. If it was, what age was he then? I feel like that version they were trying too hard to be "punk like". It sounded very unnatural. 1930 from TGA sounds much much better. I agree. The newer version of 1930 sounds more dynamic and natural.